What girl doesn't swoon over flowers from her crush? 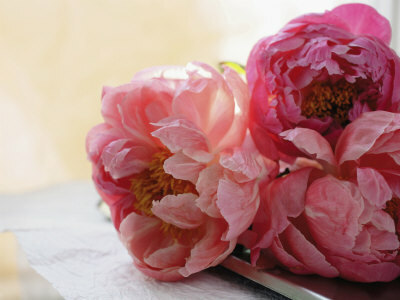 If a gentleman sent me pink peonies, I just might fall for him (or at least give him a kiss). After a rainy week in New York City, wouldn't you like to bring a touch of spring home to your sweetheart with a beautiful bouquet of flowers? Enjoy free delivery anywhere in Manhattan on any floral arrangement ordered this Friday (aka tomorrow) at LDF Floral and Event Design by mentioning "NearSay", the NYC neighborhood publication. LDF specializes in one of a kind floral couture. Each and every flower is selected with the criteria of beauty, freshness and rarity. Their arrangements are luxurious, beautiful, and long lasting. I currently have beautiful tulips from LDF in a vase by my bedroom window brightening my dreary mornings. Contact LDF Floral and Event Design to order your flowers tomorrow, Friday, May 20th by calling 212.269.2888 or feel free to stop by their adorable shop in the Financial District to make your customized order. And make sure to say hello to Hilary, the lovely owner and one of my new favorite ladies downtown! LDF Floral and Events. 74 Pearl St.